John Agresto spent nine months in Iraq--from September 2003 to June 2004--working under Ambassador Paul Bremer as senior adviser to the Ministry of Higher Education and Scientific Research. His daunting task was to assist Iraqis in rebuilding their once distinguished system of colleges, universities, and vocational schools. As he left Iraq, Agresto was asked by the Pentagon to write a few paragraphs about the "lessons learned" during his time there. Those paragraphs were never written, but a book was born instead. Mugged by Reality is partly the memoir of an American civilian and educator trying to help a devastated country revive its educational institutions. It is also a compendium of the successes and failures that followed in the wake of Iraq's liberation. Many books discuss what the United States and its allies did or didn't do, making our mistakes look simple in hindsight: we disbanded the army, we didn't have enough troops, we de-Ba'athified too thoroughly. If only we had done things differently, they say. But the sober truth is that we have been thwarted not simply by failures to "understand the culture of the Middle East," but by failures of Americans in Iraq to understand their own culture and what America really stands for. 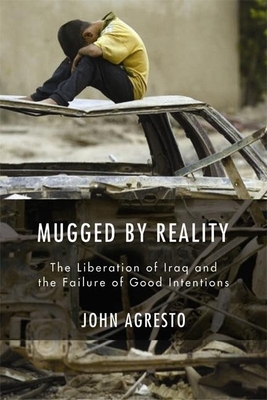 In the end, Mugged by Reality offers "lessons learned" not only about Iraq and Middle Eastern culture, but also about American democracy and about our common human nature.